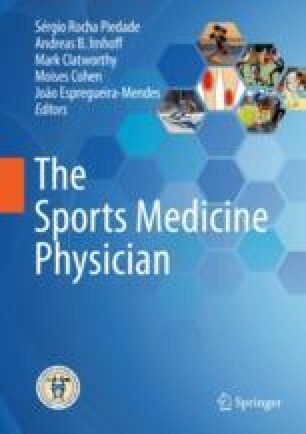 The purpose of this chapter is to present and review the unique challenges that the sports medicine clinician may face regarding the Olympic Games and Olympic-level athletes. Specific anatomic injuries as well as sports-specific injuries have been covered elsewhere in the text. Several factors make the Olympic Games a unique event regarding sports medicine care. It is not only one of the largest mass sporting events in the world; it often represents the penultimate competition of an athlete’s career. Unique challenges include acclimatization to a new country, travel, geography, foods, and language. The athlete not only has pressure from their coach and the fans of that particular sport but also a global audience and the pressures coming from stress related to representing their country. From the medical planning and organization perspective, the Olympic Games is a multisport, international, and mass sporting event. For the host country, the organization must provide optimal communication, transportation, and facilities to care for thousands of elite-level athletes. For national organizations, preparations can begin years in advance of the games and include planning how dependent they wish to be on the host country’s medical plan; which facilities may be used in case of emergencies; what equipment, staff, and medications will be necessary to retain independent care of their own athletes; and arranging local licensure, contacts, and training facilities for its athletes throughout the course of competition. International Olympic Committee. Athens—1896. 2017. https://www.olympic.org/athens-1896. Accessed 7 Mar 2018.
International Olympic Committee. Rio 2016. 2018. https://www.olympic.org/rio-2016. Accessed 7 Mar 2018.
International Olympic Committee. Chamonix—1924. 2017. https://www.olympic.org/chamonix-1924. Accessed 7 Mar 2018.
International Olympic Committee. PyeongChang—2018. 2018. https://www.olympic.org/pyeongchang-2018. Accessed 7 Mar 2018.
International Olympic Committee. The IOC—What We Do. 2018. http://www.olympic.org/the-ioc/what-we-do. Accessed 7 Mar 2018.
International Olympic Committee. Medical and Scientific Commission. 2018. http://www.olympic.org/medical-and-scientific-commission. Accessed 7 Mar 2018. Budgett R. On call for Olympic athletes: MRIs, ultrasounds and digital X-rays. 2016. https://www.ge.com/reports/call-olympic-athletes-mris-ultrasounds-digital-x-rays/. Accessed 7 Mar 2018. GE Healthcare. How a healthcare olympic record was broken in Rio. 2018. http://newsroom.gehealthcare.com/how-a-healthcare-olympic-record-was-broken-in-rio-2/. Accessed 7 Mar 2018. Olympic Games Healthcare Guide. 2016. http://medsport.by/sites/default/files/custom/rio_2016_healthcare_guide_for_the_olympic_games.pdf. Accessed 7 Mar 2018. Wolff AD. When the terror began. 2002. http://content.time.com/time/world/article/0,8599,2051168,00.html. Accessed 26 Mar 2018. Sochi 2014 Healthcare Guide. 2014. https://library.olympic.org/Default/doc/SYRACUSE/44832/healthcare-guide-sochi-2014-organizing-committee-of-the-xxii-olympic-winter-games-and-paralympic-win. Accessed 10 Mar 2018. Internation Olympic Committee. Olympic charter in force as from 2 August 2015. 2015. https://stillmed.olympic.org/Documents/olympic_charter_en.pdf. Accessed 10 Mar 2018. Internation Olympic Committee. Rio 2016 looking for 8000 volunteers with language skills to be voice of the games. 2014. https://www.rio2016.com/en/news/rio-2016-looking-for-8-000-volunteers-with-language-skills-to-be-voice-of-the-games. Accessed 10 Mar 2018.